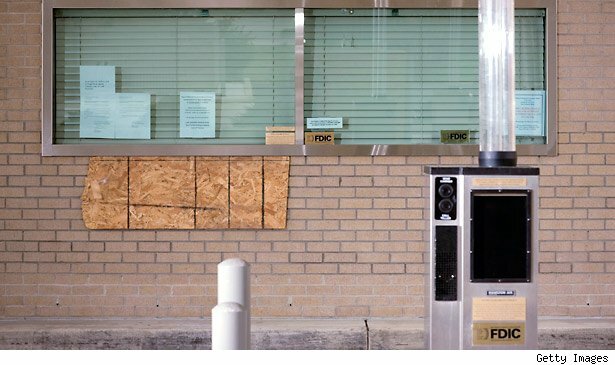 In the past year, banks and thrifts have closed more than 750 branches in the U.S., with 43 states seeing more closures than openings. The methods that banks use to manage and move the accounts of their affected customers vary depending on the reason for the closure, and by bank, but even people who rarely step foot into their local branch should take notice. "It's rare that you'll have a bank location that becomes a restaurant or a gas station," says John Hall, senior vice president of the American Banking Association. "In most cases, you'll have another bank move in, whether because they bought the lease or because they've merged with the existing bank." If a bank merges with another, customers have the option of either keeping the existing account with the same bank, and continuing (or beginning) to use ATMs and online banking for the bulk of their needs, or changing to the new bank that will come into the existing location. If that decision isn't made purely on the location of the branch, other factors come into play. While the days of getting a toaster when opening a new checking account are long gone, the new bank may either honor the existing rates or offer special promotional rates for customers who make the switch. So be sure to compare rates of the two banks -- everything from checking account fees to credit card interest rates to mortgages. Great, Now What Am I Supposed to Do? Should a branch simply close, the bank will focus heavily on the non-store services available. "While a safe deposit box may be a location-specific service," Richele Messick, a representative for Wells Fargo, says, "most banking services are not tied to the store location." She points out that customers can bank by mail, online, phone, ATM, or at another bank location. It's an industry line. Tara Burke, a representative for Bank of America, says that the bank offers online, mobile and telephone banking, as well an app that allows for deposits via smartphone. Neil Brazil, vice president and senior manager of media relations for HSBC North America, also points to HSBC's extended telephone service hours and ATMs that can manage most routine transactions, including deposits. But even customers who switch from in-branch to ATM banking may be in for some surprises. The battle over branches is being fought on a smaller battlefield, as banks increasingly jockey for high-performing, low-cost locations to service their customers. Bloomberg reports that Bank of America diminished its ATM network by nearly 9% this year, by removing the machines from gas stations and malls. JPMorgan Chase expanded its network by 5%. (JPMorgan didn't not respond to requests for comment.) And should a branch close, its 24-hour, storefront ATMs will close with it. Once rumors of a closure or a merger begin to spread, customers should begin to identify their options. It's always a good idea to leave a time cushion when transitioning from one bank to another, and banks vary in how much notice they'll give customers of an impending closure. When will this closure take effect? Where is the closest branch? Will any ATMs close along with the branch? Does the nearest branch have the same hours and provide the same services? Is there a new bank moving into this space? Customers who have items in safe deposit boxes will be notified anywhere from 30 to 90 days, depending on the bank. Wells Fargo will move the box contents to a new location and notify the customer. HSBC will ask the customer to close the box at one location and open a new one at another location. Bank of America works on a case by case basis. Hall says that despite the plethora of ways to bank, branches will never become completely obsolete. "While banks have added additional, convenient banking methods -- from ATMs to mobile-banking -- the branch remains a solid mainstay for accessing bank products. Different consumers have different preferences." To customers who need regular access to a branch for additional services, whether they require small bills for a business till or help filling out a mortgage application, Hall says not to fear. "Banking is an extremely competitive industry," he says. "There are so many options on how to bank today, that even in rural areas, there's a solution for everyone." Will 2012 Be Bank Transfer Year? Motley Fool contributor Molly McCluskey doesn't own shares in any of the companies mentioned. Follow her travel and finance tweets on Twitter @MollyEMcCluskey. The Motley Fool owns shares of JPMorgan Chase and Bank of America. Motley Fool newsletter services have recommended buying shares of Wells Fargo. Motley Fool newsletter services formerly recommended JPMorgan Chase.